Thanks to mold, Hide and Seek is no longer just a game kids play. 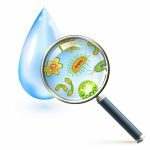 In fact, your commercial building may be harboring mold in secret hiding spots you don’t know about, and now it’s up to you to find it before it causes bigger problems. You might think if mold is tucked away without your knowledge, than what harm can it really cause. The answer is quite a bit. Even though the spots may be out of sight, that doesn’t mean you and your building’s tenants are out of harm’s way. Mold can be a potential health hazard if not tended to quickly. 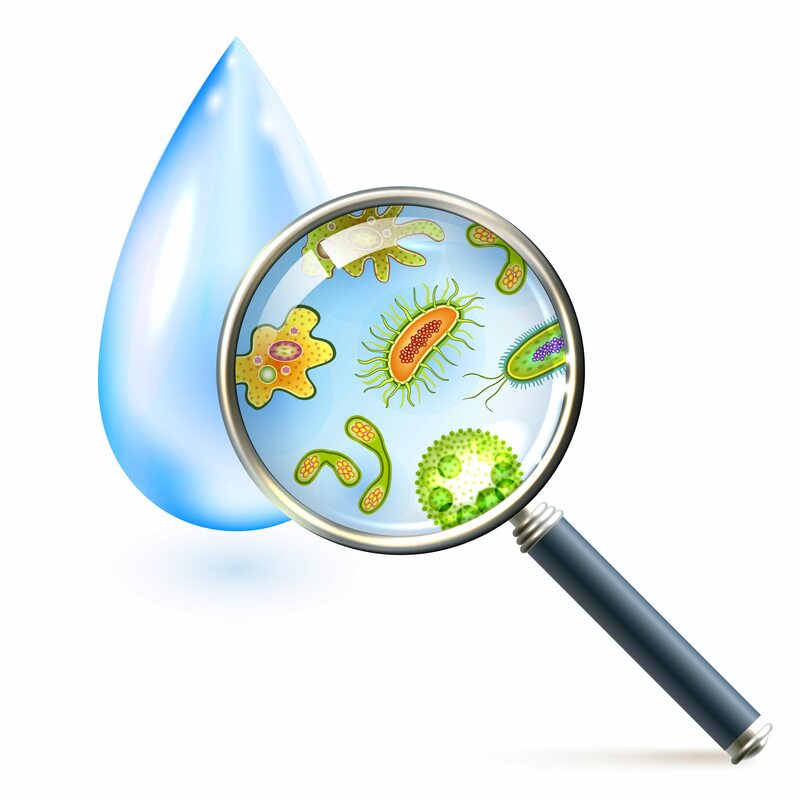 Mold produces allergens, toxins, and irritants that can cause respiratory and sinus reactions in people of all ages. Those people with environmental allergies or suppressed immune systems may suffer increased symptoms, including “nasal stuffiness, throat irritation, coughing or wheezing, eye irritation, or, in some cases, skin irritation,” according to the Centers for Disease Control and Prevention. Even people who aren’t affected now can develop a sensitivity if exposed to mold over a period of time. Typically mold is easy to locate thanks to it dotting the walls and other surfaces of humid areas with fuzzy or slimy textures in hues of brown, black, and green. 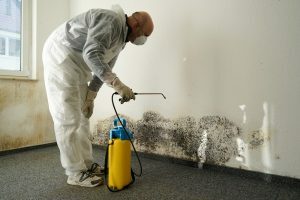 Mold can grow just about anywhere, it’s most often associated with damp areas like kitchens, bathrooms, and basements. It simply needs moisture, a surface to attach itself to, organic nutrients, and preferably low light or darkness. Once it begins to grow, the spores can easily travel through the air and find new places to call home. In maintaining your commercial property, be sure to take remediation steps should mold be out in the open and easy to see. But don’t overlook areas hidden from the human eye. When conducting routine maintenance checks of your property and its facilities, take a look to see if the following locations are leasing out free space to mold spores. Mold on top of the carpet might be easy to see, but don’t forget about the padding that lies beneath. Liquids that have seeped into carpet or padding and not thoroughly dried due to foot traffic, spills, appliance leaks and other water sources. The damp dark area is perfect for mold to hide out. Even though air travels through your building’s ductwork, if that moist air condenses or if leaks in the the ductwork allow in moisture, it can create a breeding ground for mold. And since that ductwork blows air throughout the building, you could be creating a situation for spreading spores. In addition to poor ventilation in high humidity areas, leaks from pipes hidden above ceiling tiles could cause lingering moisture and thus an attractive space for mold. HVAC systems, as well as some appliances, house pans to collect and effectively drain away excess moisture. However, improper installation, a system in need of cleaning, or an operational error can cause the moisture to pool and create a welcome area for mold. Tenants storing cardboard boxes or paper files could be creating a home for mold if the humidity levels are not in check or if a past water leak or spill has caused the paper to get wet and not dry thoroughly. Whether out in the open or out of plain sight, preventing mold requires responding to moisture quickly. If your commercial property has experienced flooding, a water leak, a spill, increased air moisture, or another source of water damage, your first step is to tend to the problem. Locate the source of the water or moisture and decrease it or eliminate it from further entering your premises. After that, it’s time for remediation on the surfaces, including drying all affected areas and cleaning away the start of any mold growth. 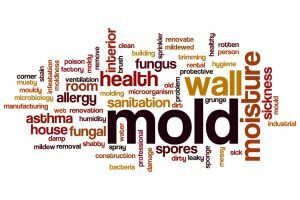 Hidden mold may also be something you smell instead of see. If you think you’re dealing with a mold situation in your commercial space but can’t locate the source, it’s best to bring in our skilled mold remediation professionals to locate the source of the problem and make it go away. At DRS, we provide a swift and thorough cleanup so you can get back to business and your daily routine. This may include our innovative solutions for complete room disinfection with SteraMist™ powered by Binary Ionization Technology® (BIT™).